This entry was posted in Accessories, Expert, Intermediate, Optics, Review and tagged airsoft, dot, NcSTAR, optics, red, red dot sight, red-dot, sight, tactical by sirbuffalosushi. Bookmark the permalink. Do think the cyma m187D bolt action sniper would be good for a trained and decent air softer? How much does one usually cost? 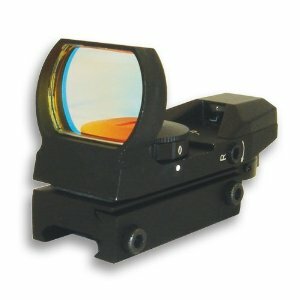 How fast usually does it take to switch the brightness and reticles when you are running away from someone or under huge pressure? The brightness and reticule knobs are both easily accessible and take less then 5 seconds to change.